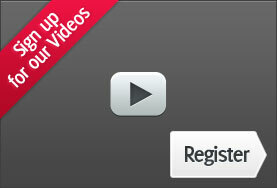 mobile123 is just like your normal website and does not require a .mobi domain name to work. In fact you don’t even need an existing website to use mobile123. mobile123 can be set up as a standalone website, however, a domain name is required for mobile123 to work. Mobile internet users don’t want to navigate a web page full of text, images or videos to find the information they need. Make life easier for them with features such as one click to call you, call back request, appointment booking forms, clear opening times, Google Maps integration, social media links, coupons and much more. While your existing website is aimed at giving a full and comprehensive picture of your business, a mobile123 mobile site allows you to deliver immediate access to what matters most when on the go. The two sites are complimentary and work together to make sure your customers are getting the most appropriate experience for their context and their device. The mobile123 Setup wizard provides a quick and intuitive interface for website owners to customize their mobile123 site. visual app development and testing tools, seamless application automation, and cloud-based app builder and distribution services. We can bring your mobile app vision to life in minutes. Appmaker123’s App Center Builder is a cloud service that creates native iOS and Android apps from your Appmaker123 application code. Upon completion of a build process, the resulting app is distributed for installation and testing on your devices. The maximum size of an app supported by the Builder is 50MB. Use the iOS and Android mobile web emulators to evaluate and test your MobiOne app or your custom mobile webapp or website. The emulators are a central part of the the Test Center workbench. Switch between emulators by changing the emulator device. Supported devices include Apple iPhone and iPad and Android Nexus S, Kindle Fire and Samsung Tab 10.1. The emulator can be rotated between portrait and landscape orientations. It can also be scaled to use your display space efficiently. Join the likes of Tesco, Marks & Spencer’s, Argos and John Lewis with a website purpose-made for mobile phones. Quick and easy to set up, mobile123 gives you all the tools you need to create a site specifically optimised for mobile phones. 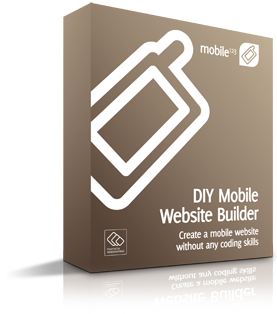 Using the mobile website builder wizard, tailor your information and create content especially for your mobile website visitors. Compatible with any domain name, mobile123 uses a familiar icon-driven interface to ensure an effortless user experience.